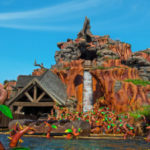 What are your favorite memories of Disney Parks? If you look back, some of these memories may not be from attractions or parades. Fantastic foods can make your experience magical. That mouth-watering meal. Those unforgettable Mickey snacks. 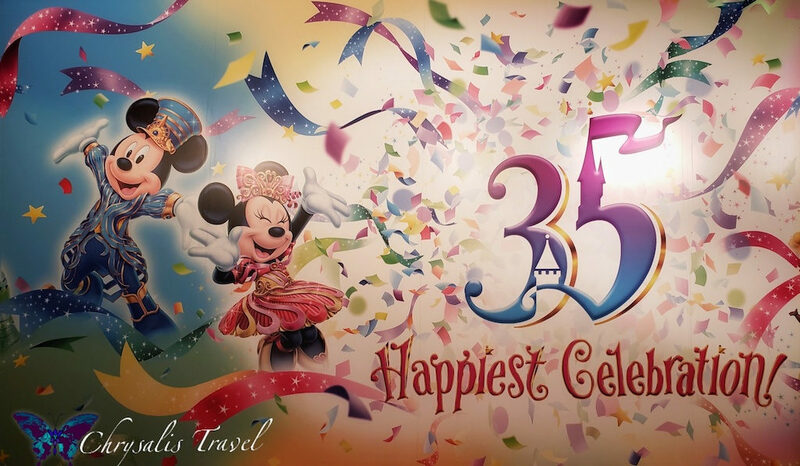 At Tokyo Disneyland, the 35th “Happiest Celebration” is well underway. 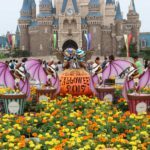 Here, we explore some of the seasonal menus that enhance your Tokyo Disney Resort (TDR) experience. 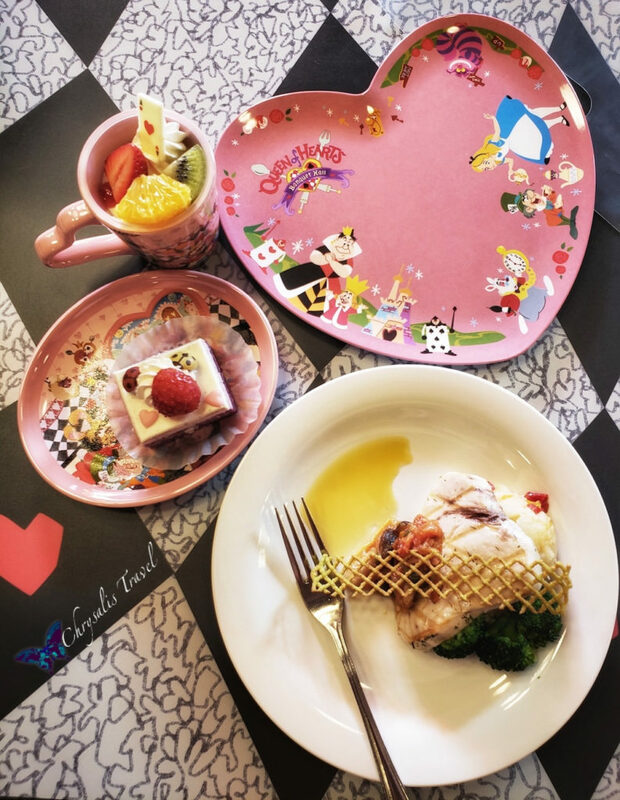 Every visit to Tokyo Disney Resort leads to new culinary discoveries. 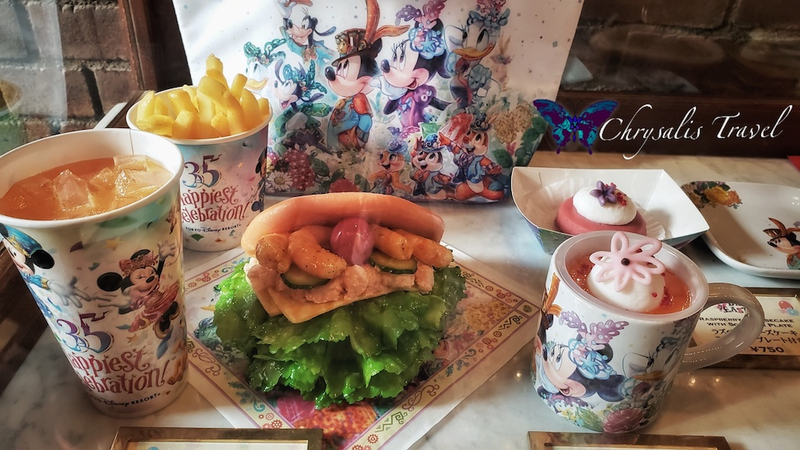 Their menus are constantly changing, with seasonal specials that encompass both food and limited-edition souvenir cups and plates. 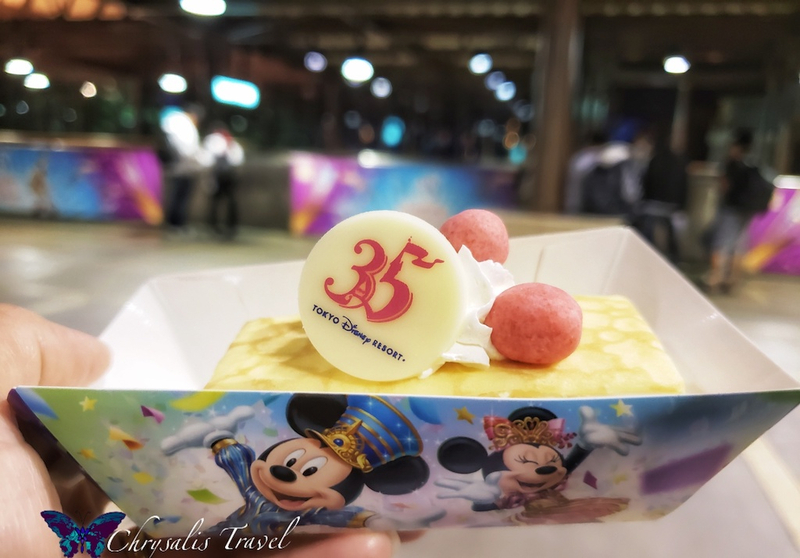 Part of the joy of experiencing Tokyo Disney Resort is trying all the food. There are entire blogs dedicated to this topic. I admit, I spend a bit of time walking up to food venues and staring at their display cases. There’s always something new. 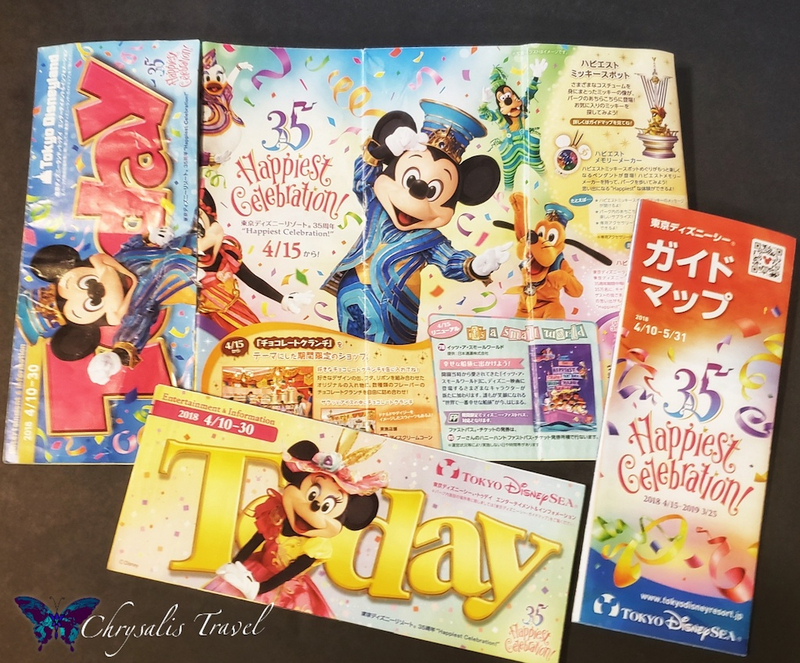 My ‘Fastpass’ to deciphering it all: picking up the colorful Japanese ‘times guide’ labeled “Today.” Each week, there is a new one for Tokyo Disneyland and Tokyo DisneySea. Make sure you get both. Even though they are only in Japanese, scanning through the pictures helps me identify seasonal specialties worth looking into. 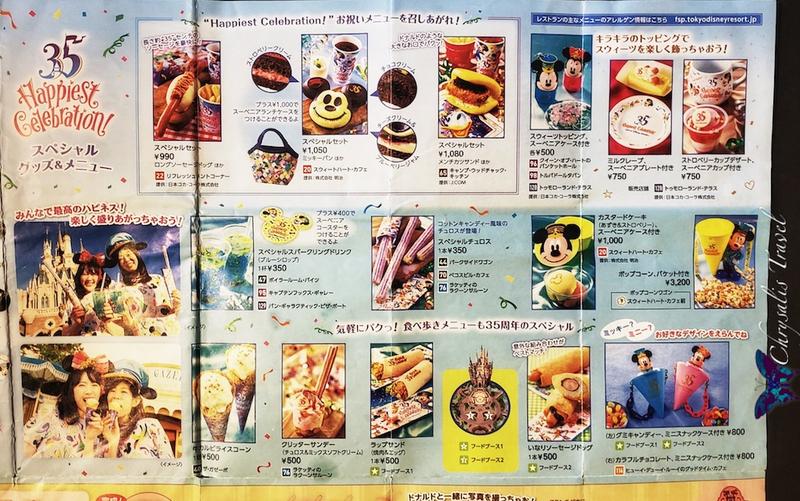 Showcased food and merchandise have color-coded numbers that match locations on your Tokyo Disneyland map or Tokyo DisneySea map. This is where you can find each item. This Mickey pastry is only available at Sweetheart Cafe in Tokyo Disneyland. His head and each ear have a different flavored filling. It was fun to discover what’s inside. With food at Tokyo Disney: I’m never sure what I’m going to get. But usually even the most unusual-sounding concoctions are surprisingly good. 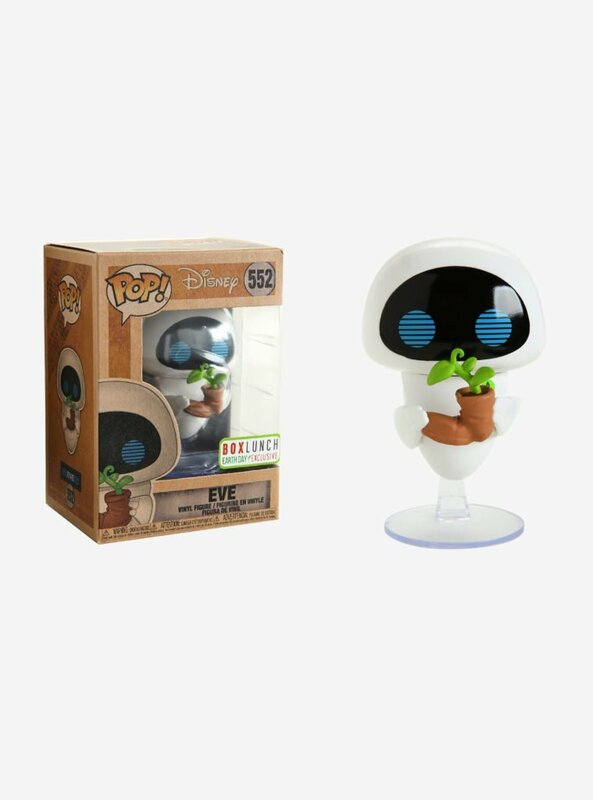 And Mickey? He was delicious. 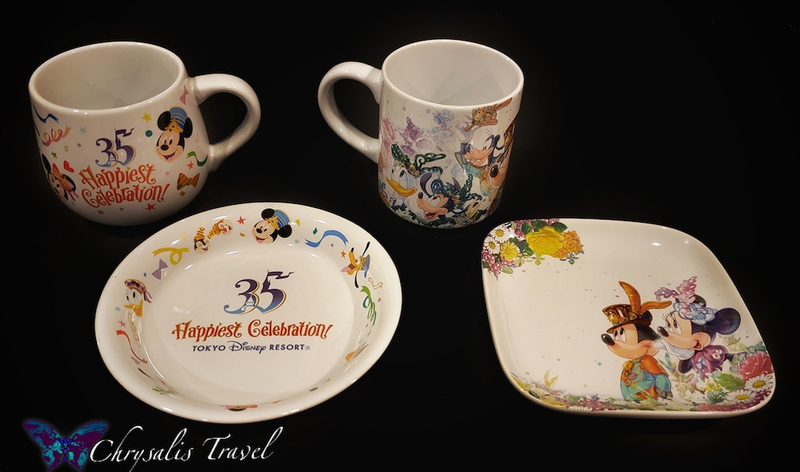 Delectable specialty food items often come with collectible ceramic cups and plates. 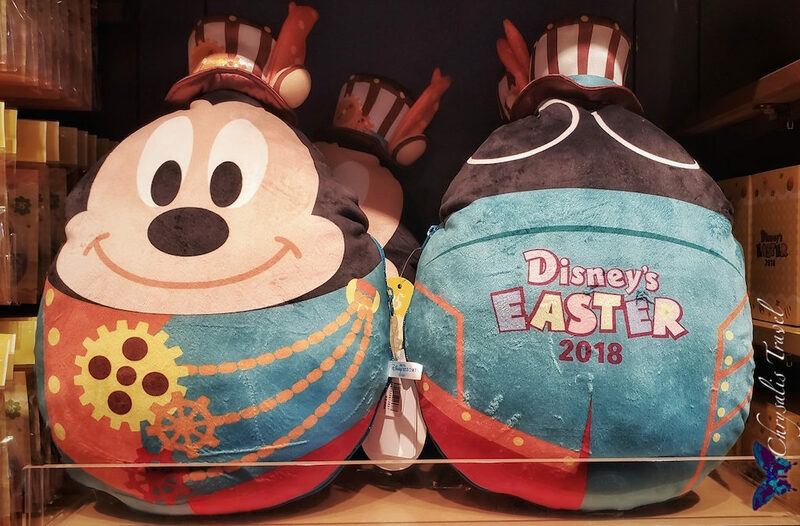 Here are samples from the 35th “Happiest Celebration” and Disney’s Easter 2018. The ‘special churro’ was covered in bright purple sugar. It was tasty but didn’t exceed expectations. 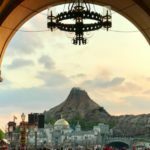 If you’re a popcorn lover like me, Tokyo Disney is absolutely heavenly. Uniquely-flavored popcorn carts are everywhere. Park maps contain a guide to identify and locate each flavor. But do your homework. 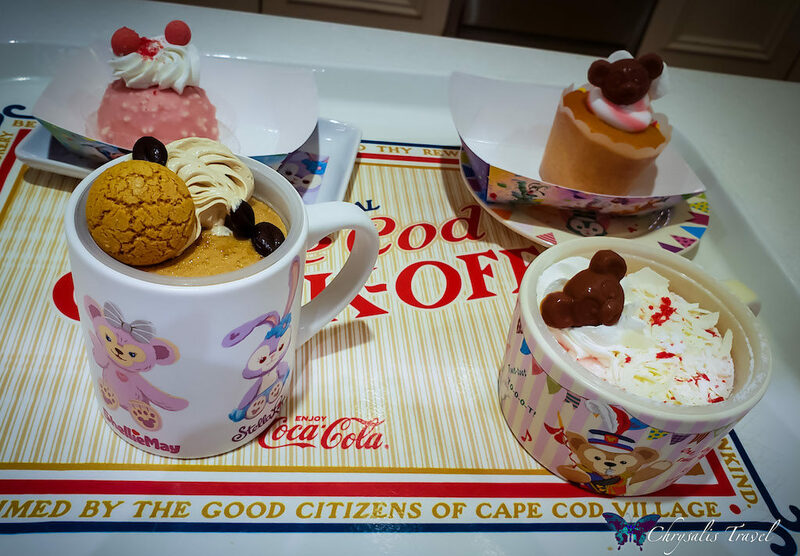 Some flavors are exclusive to only Tokyo Disneyland or DisneySea. My new favorite: Garlic Shrimp just edged out Curry popcorn. Milk Chocolate is also divine. 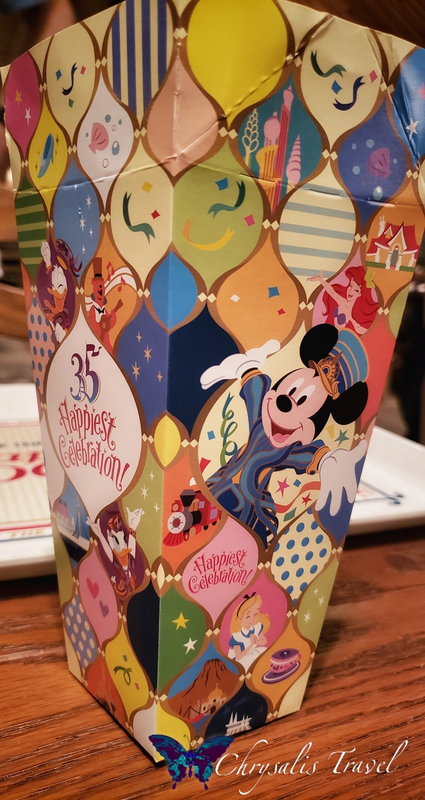 Here is the 35th “Happiest Celebration” popcorn box. Notice the perforations at the top. You can fold the box down and seal it, thus preserving your popcorn during rides. Genius. 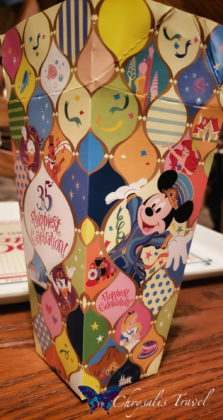 The 35th Anniversary Mickey popcorn bucket is pictured above in the ‘Today’ Guide photo. 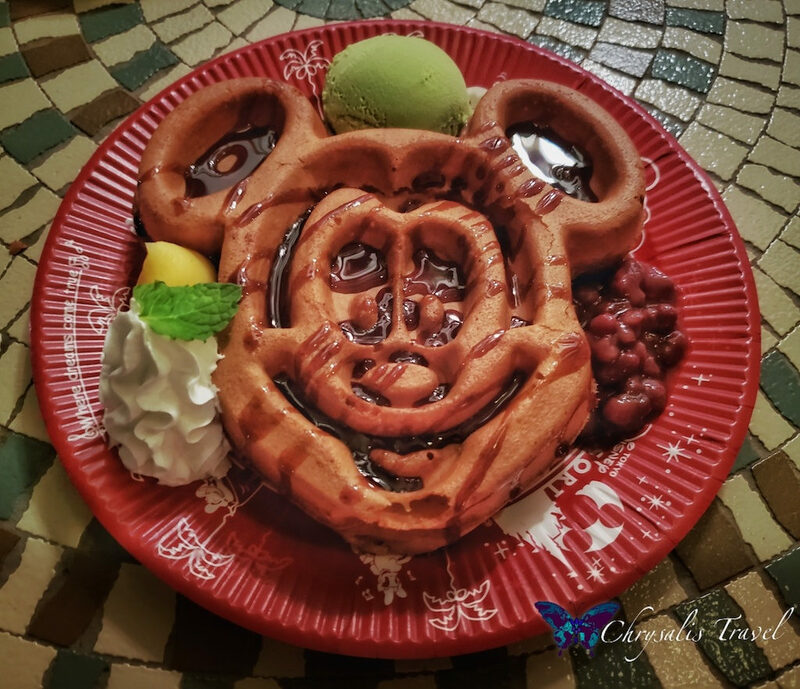 As an avid Mickey waffle fan, I had to try the “Great American Waffle Company.” This is their seasonal waffle: Mickey with green tea ice cream, red azuki beans, and chocolate syrup. Incredible. For all the Star Wars fans out there: Tokyo Disneyland has stepped up their game. 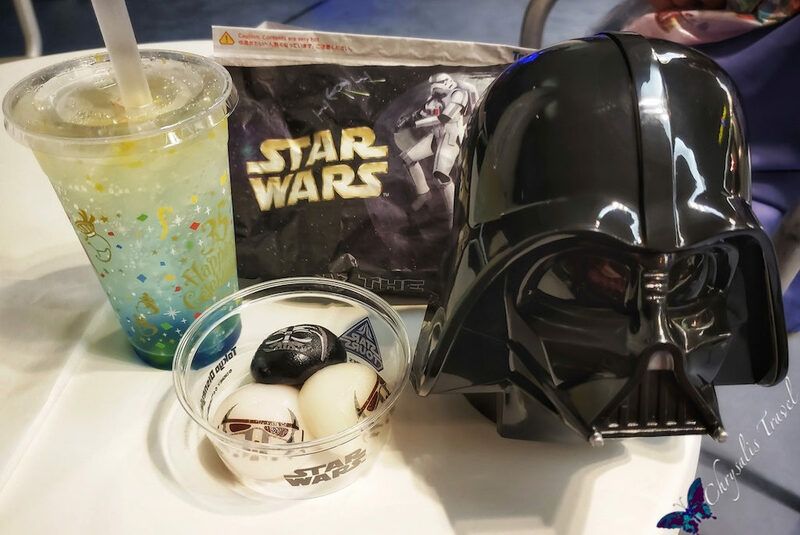 In Tomorrowland, you can now find Star Wars mochi ice cream. Like the popular Green Alien mochis, these come in a set of three with an optional Darth Vader carrying case. Pair that with a Dark Side chicken calzone – the shell is literally black – and a 35th ‘special’ bubbly blue soda with candies at the bottom, and you have a great meal. 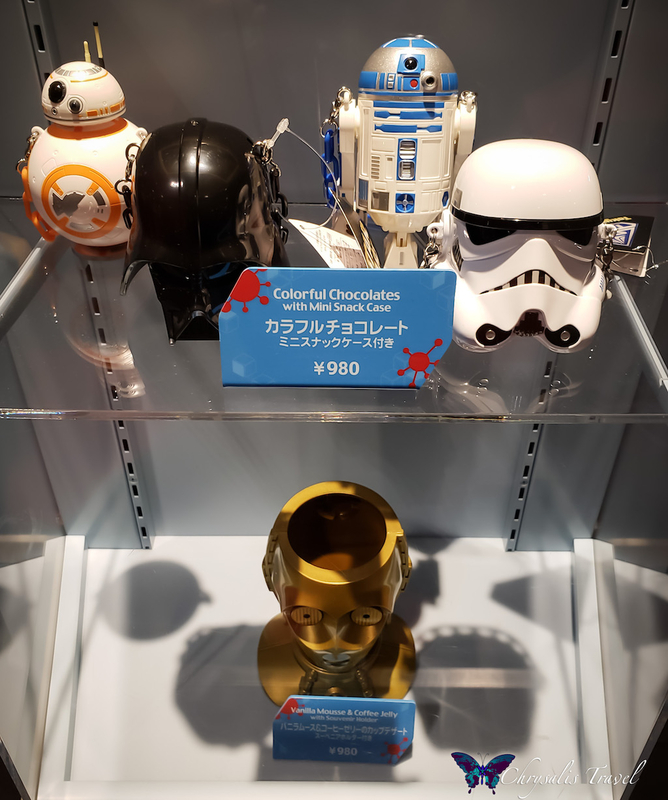 Collectible Star Wars candy holders now come in BB-8, Darth Vader, R2-D2, and Stormtrooper varieties. C3-PO holds a vanilla mouse and coffee jelly dessert. 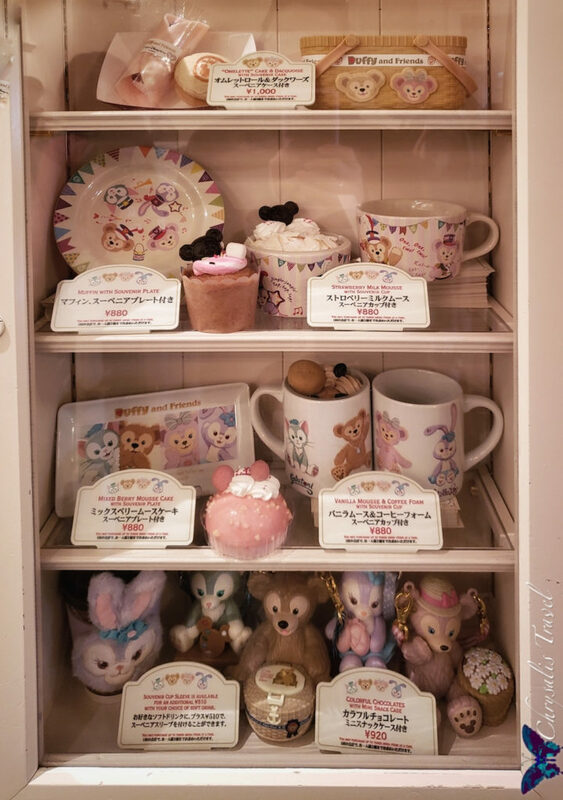 Duffy and friends celebrate the 35th Anniversary with their unique theme: a season of “Happy Marching Fun.” They are favorite celebrities at Tokyo DisneySea and have been expanding their band. Duffy came first, then girlfriend Shellie Mae. They were both created by Minnie Mouse. Gelatoni is the painting cat from Italy / Mediterranean Harbor. Now comes ballerina bunny Stella Lou from American Waterfront. Each friend has a different home ‘port’ at Tokyo DisneySea. Who could be next? All four friends march happily on this tote bag that comes with the ‘special set’ meal: an avocado burger with fries and soda. “Cape Cod Cookoff” had both standard Duffy items and the seasonal “Happy Marching Fun” specials. Desserts come with a unique cup or plate. 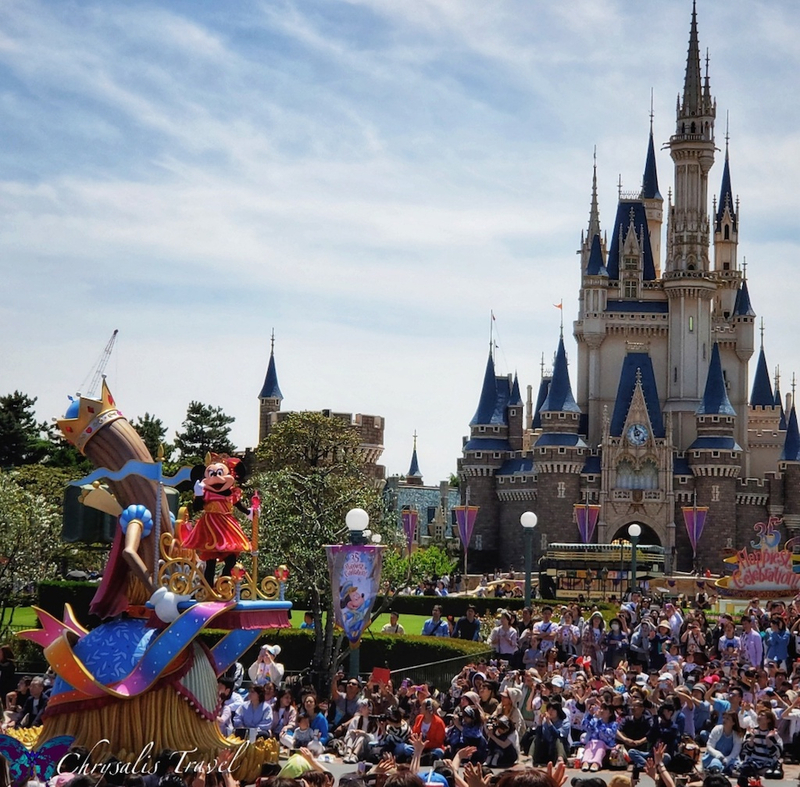 Tokyo DisneySea hosted all the Easter festivities this year. See our coverage of “Fashionable Easter” here. Special Easter menus create novel dining experiences. 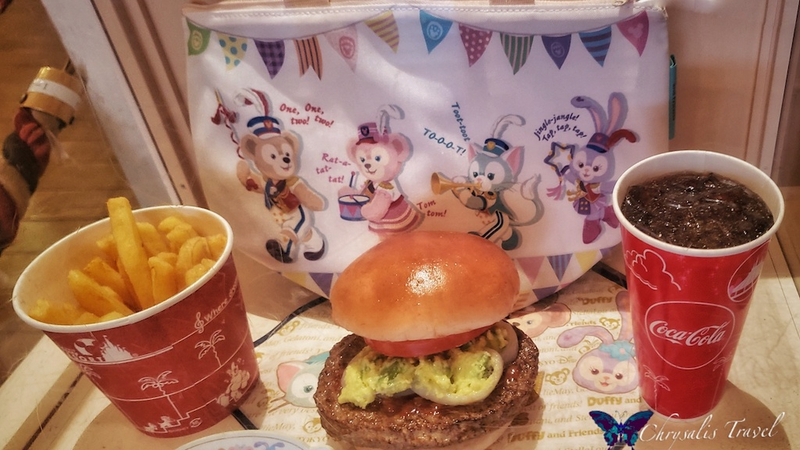 New York Deli features this ‘special set.’ It includes a shrimp burger with fries, drink, and tote bag. The desserts were delightful. 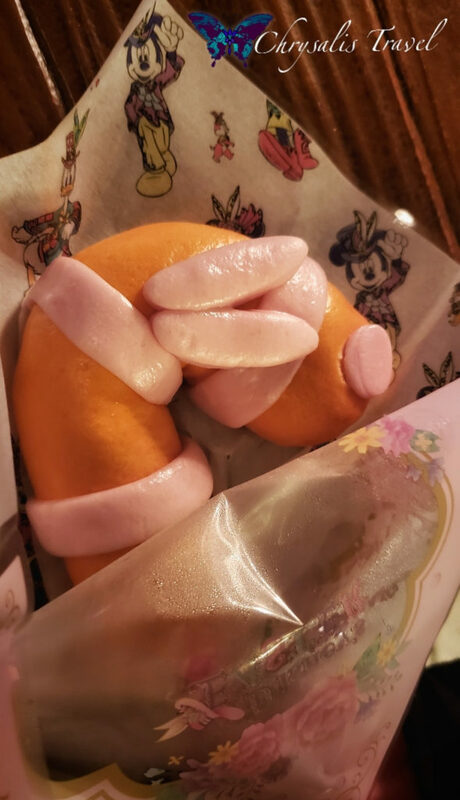 ‘Chandu tails’ are one of my favorite snacks – a tiger tail-shaped bun with creamy chicken filling. This ‘Easter tail’ version was just as scrumptious. Japanese retailers create impossibly soft pillow plush in all shapes and sizes. 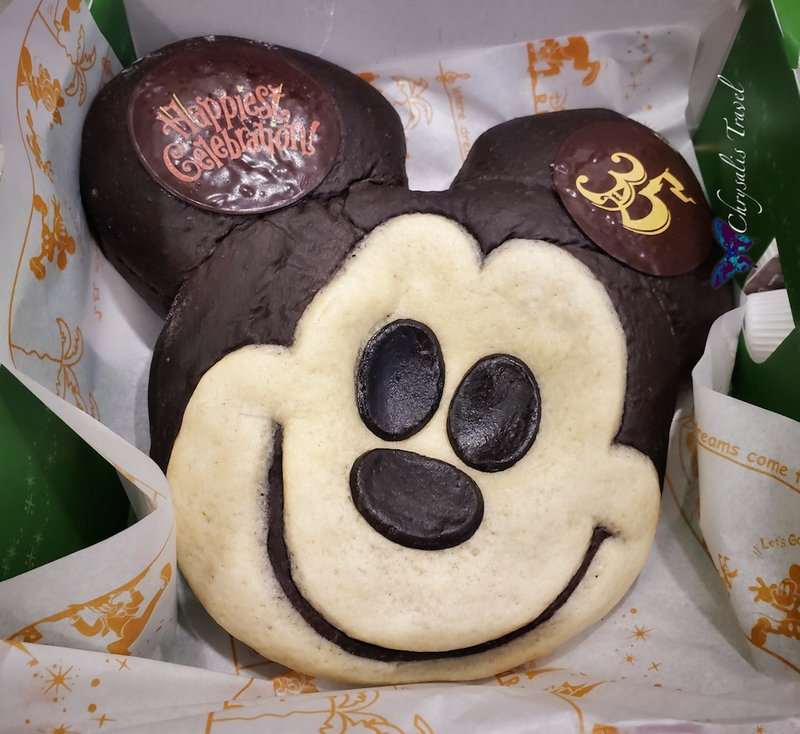 From giant Mickey macarons to this Mickey Easter egg – what will they think of next? While we covered quite a bit, this is only scratching the surface. 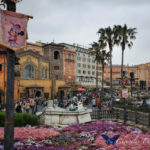 There are entire magazines like “Disney Fan” devoted to everything Tokyo Disney in dizzying detail. New foods for each season, and exactly where find them. 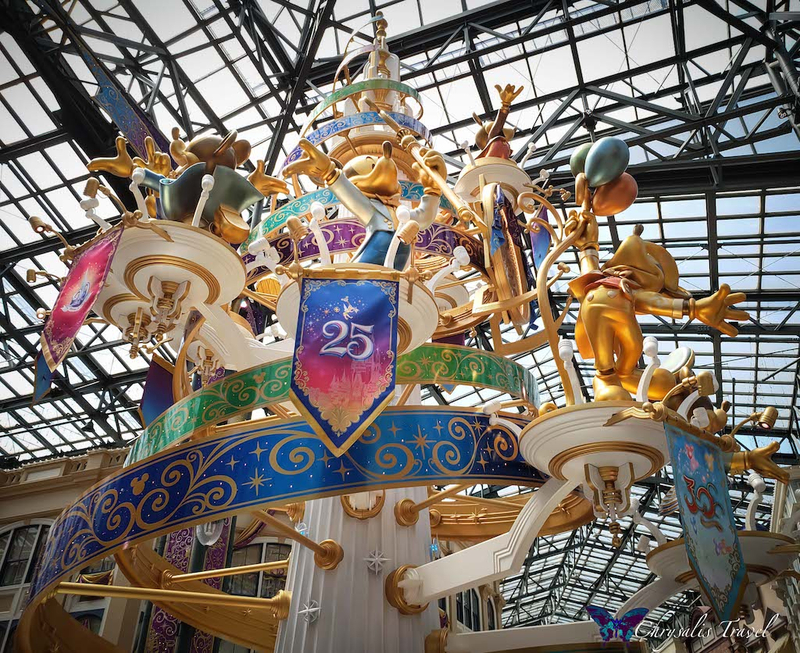 In addition, each Tokyo Disney Resort hotel has additional seasonal menus to explore. Are you inspired? Until next time: safe travels and Bon Appetit!